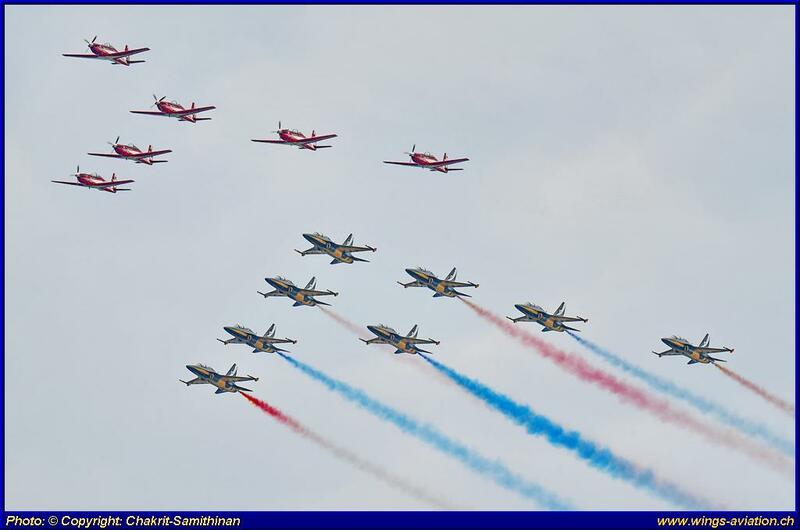 This year, LIMA took place for the 14th time and according to Malaysian sources, it was the biggest and most successful such event ever staged. 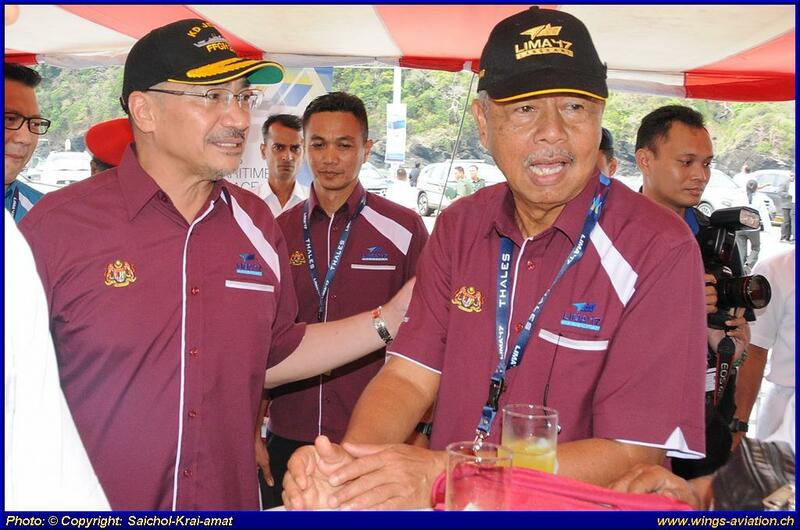 Contract signings worth 3.8 Billion Ringgit were recorded which included the newly enlarged maritime exhibition which took place near Resorts World at Porto Malai where also 40 Malaysian- and foreign warships were stationed throughout LIMA. 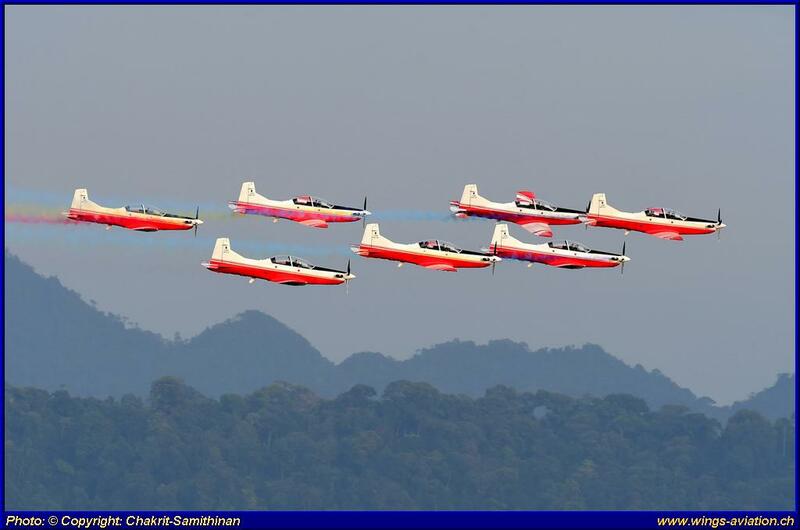 This report’s main focus is however on the aviation part of LIMA 17 and the display activities in the air during this year’s event. 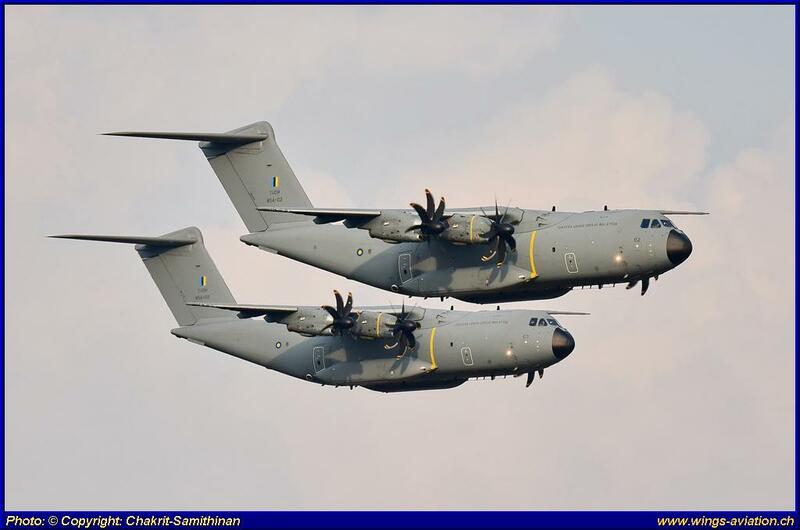 Standing out on the ground was the handover ceremony for Malaysia’s fourth (and last) Airbus A400 M transport aircraft. 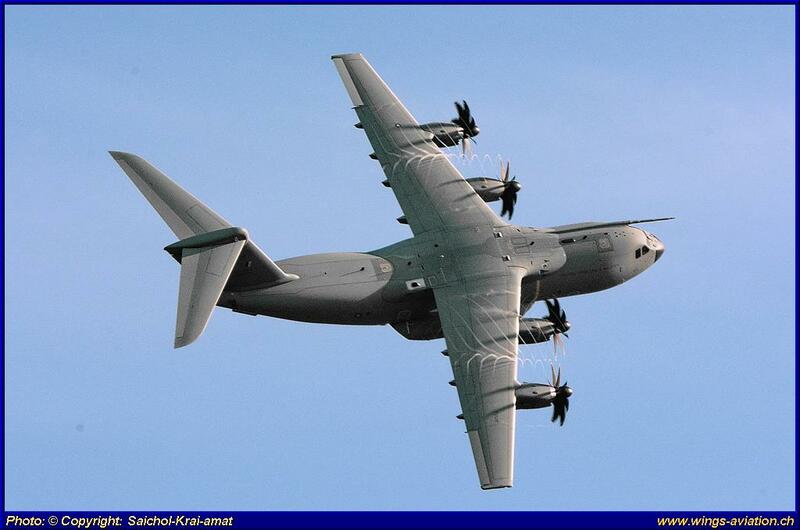 While the first A400 M aircraft delivered two years ago was back in France undergoing up-dates, the other three aircrafts staged on opening day a unique flypast with a break, probably never seen before anywhere. 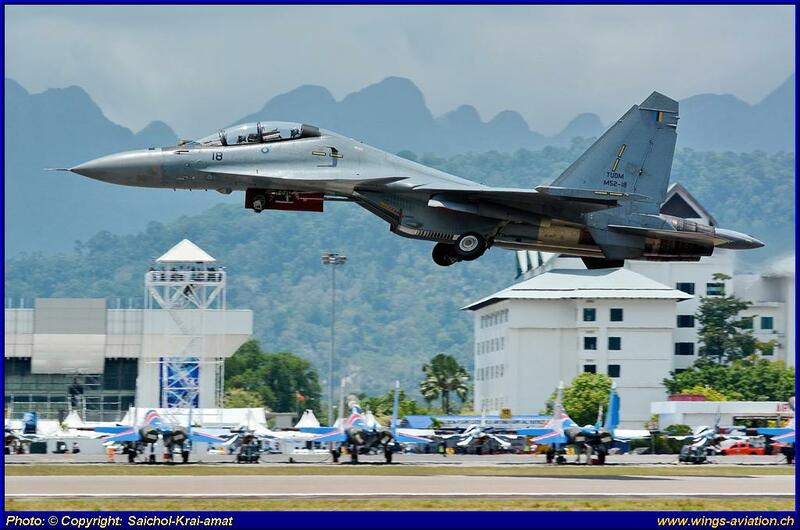 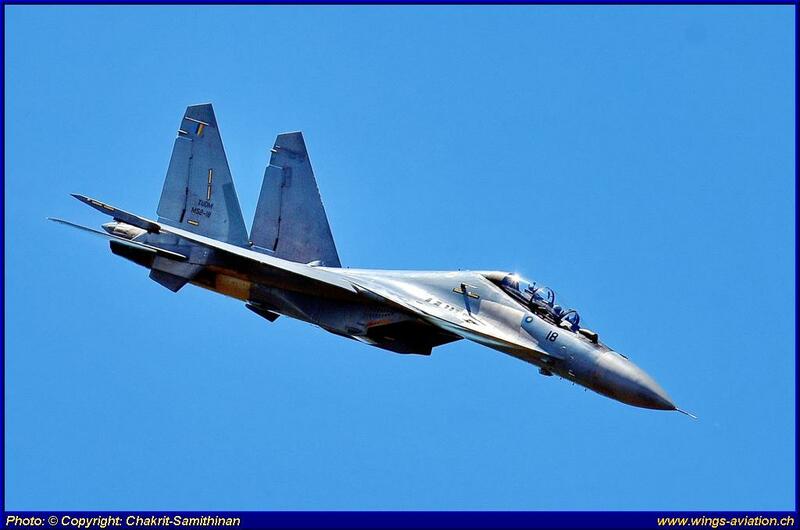 As usual, the opening gambit by the Malaysian Air Force was very interesting and featured this year 2 Sukhoi Su-30 MKM, 5 Hawk, 3 F/A-18D, 7 Pilatus PC-7, 3 EC725 helicopters and as mentioned 3 Airbus A400M. 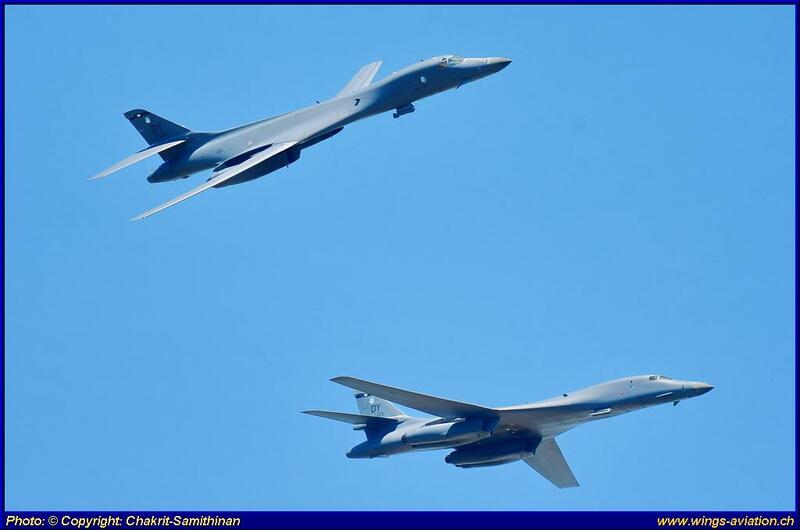 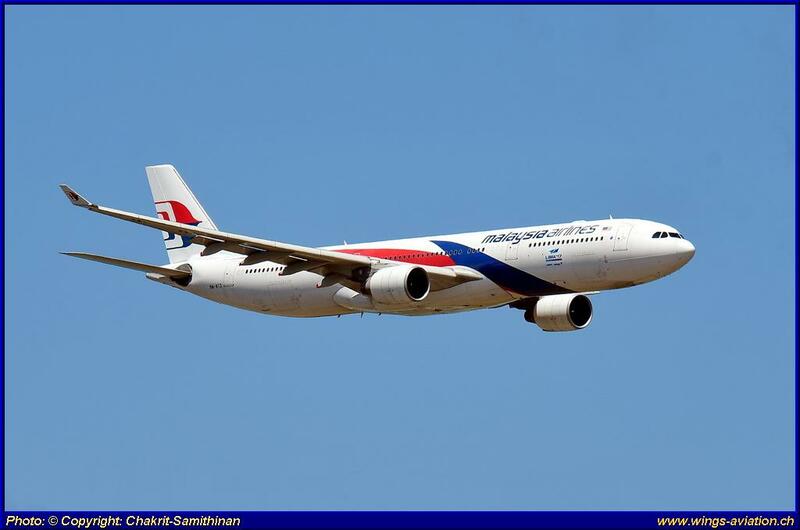 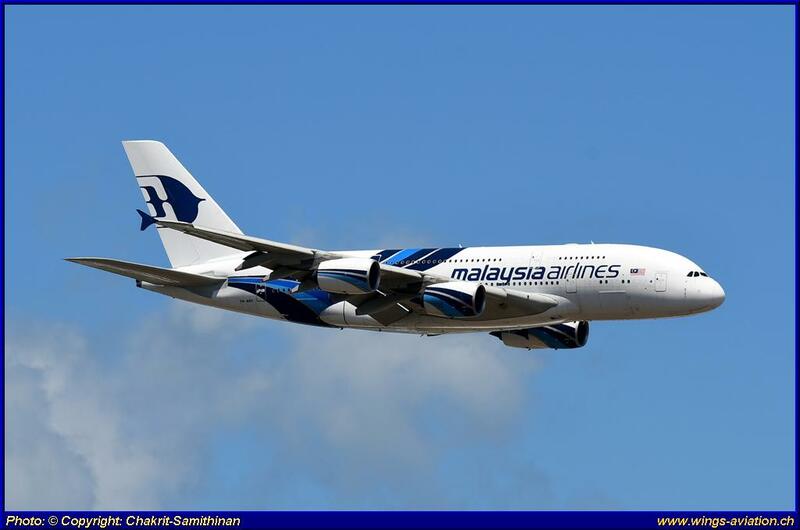 Fly-byes of two Rockwell B-1B bombers from the USAF base in Guam and one Airbus A330-300 and one Airbus A380-800 of Malaysian Airlines complemented the opening gambit. 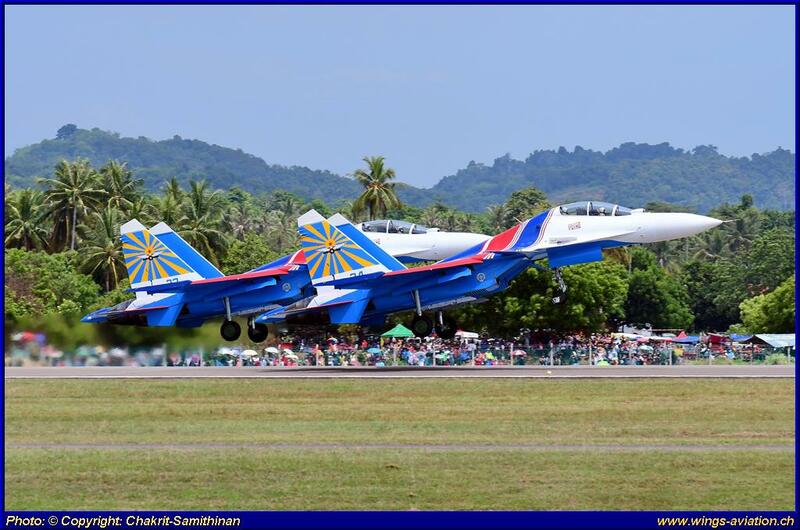 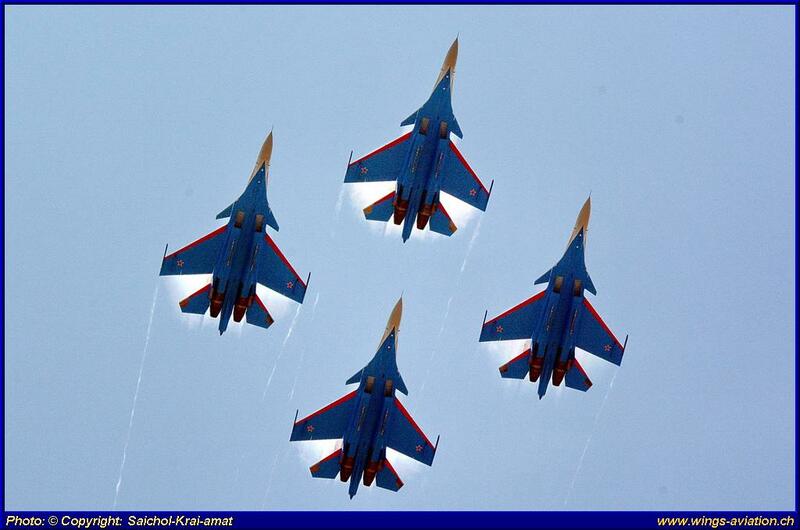 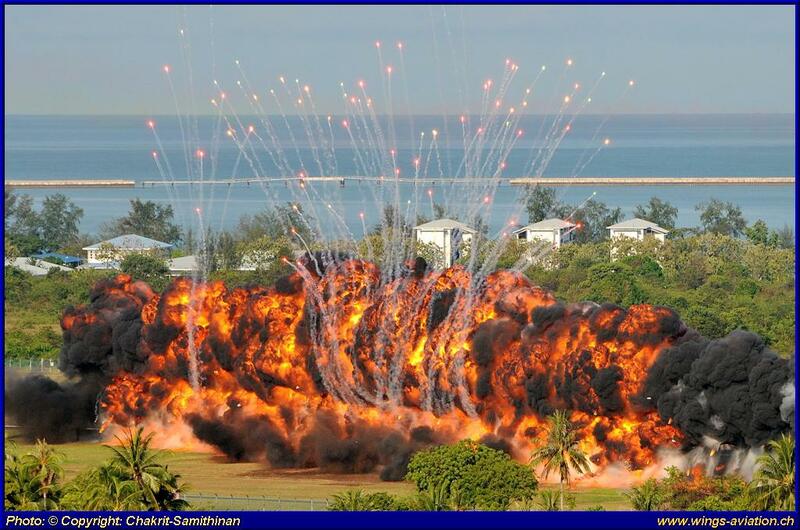 Notably absent was the Malaysian MIG-29, and apparently, only one or two aircrafts remain in airworthy condition. 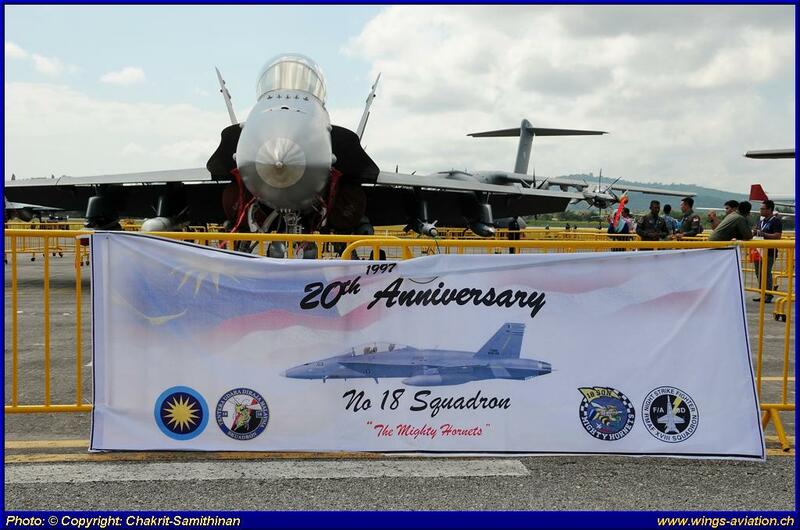 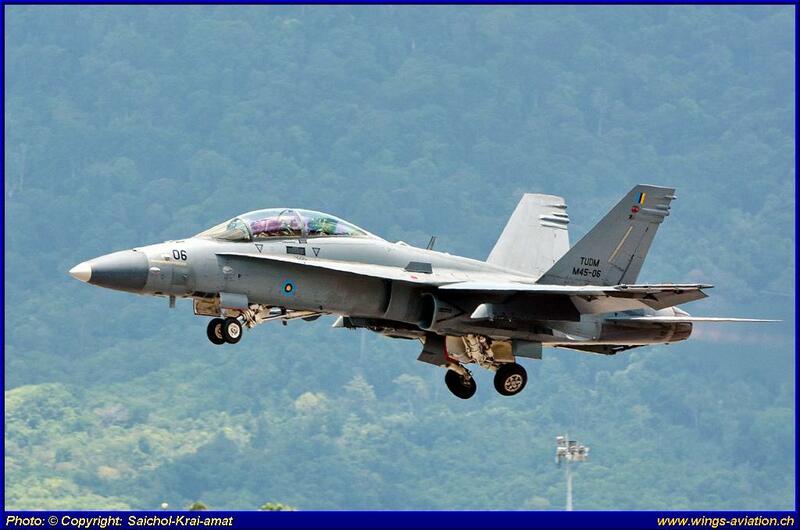 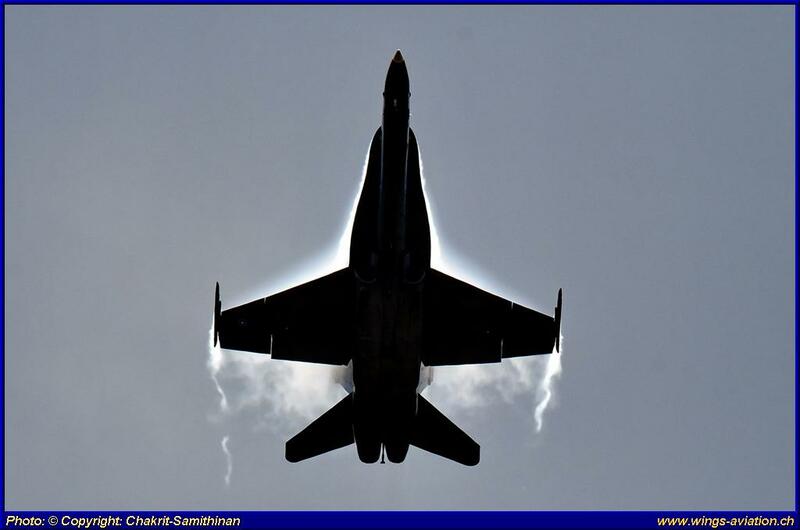 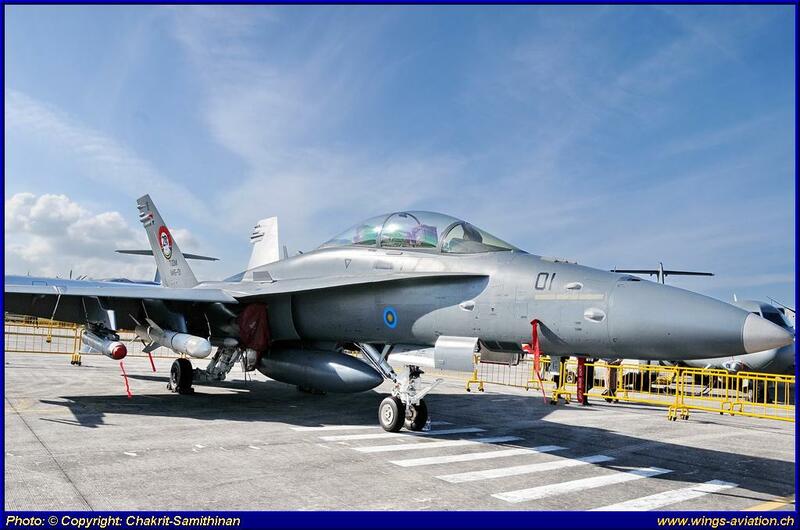 This was the reason why the RMAF put more emphasis on the Boeing F/A-18D Hornets who are celebrating their 20th Anniversary this year. 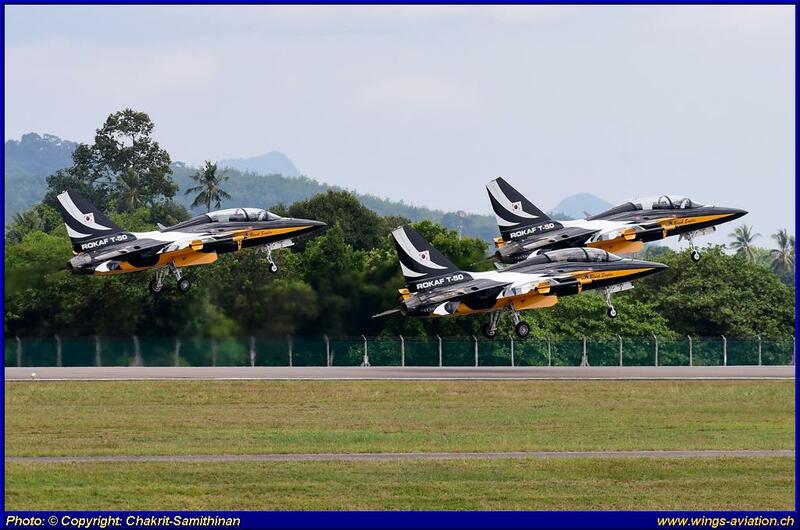 The RMAF is still looking for a new fighter aircraft but during LIMA, no hint could be picked up when and how a decision might be expected in this regard. 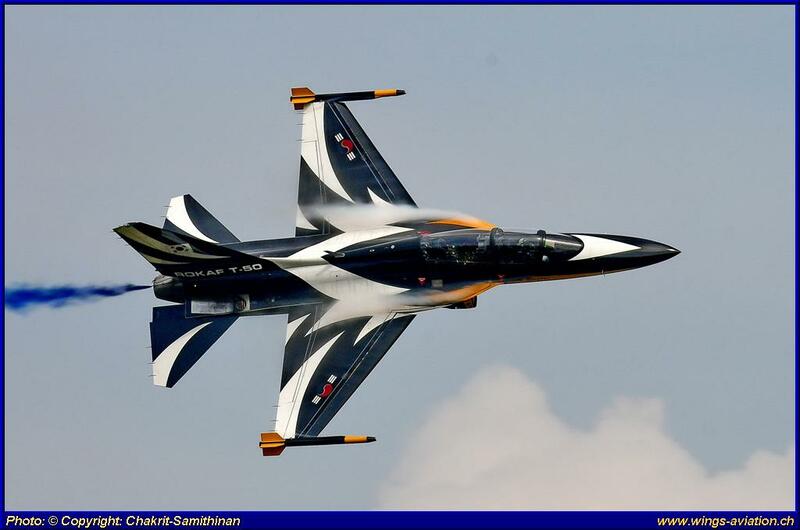 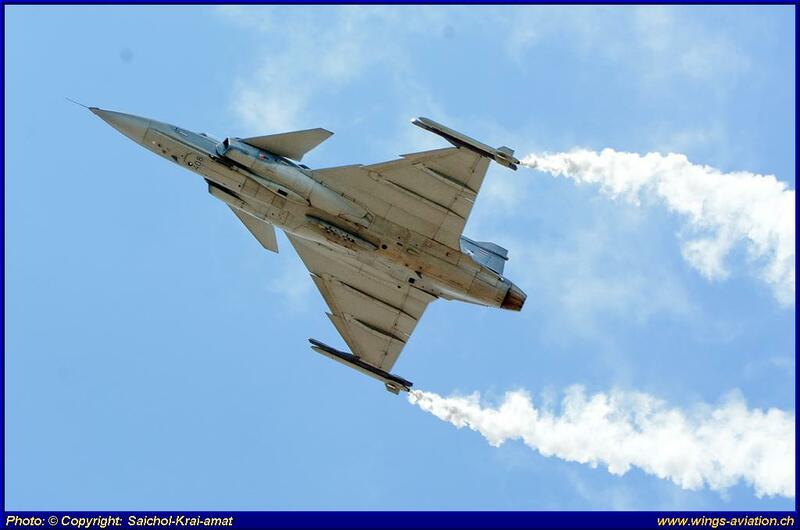 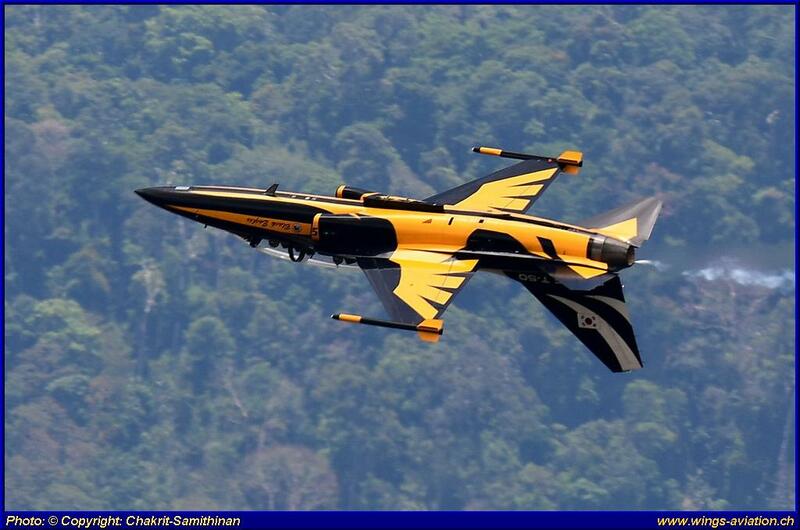 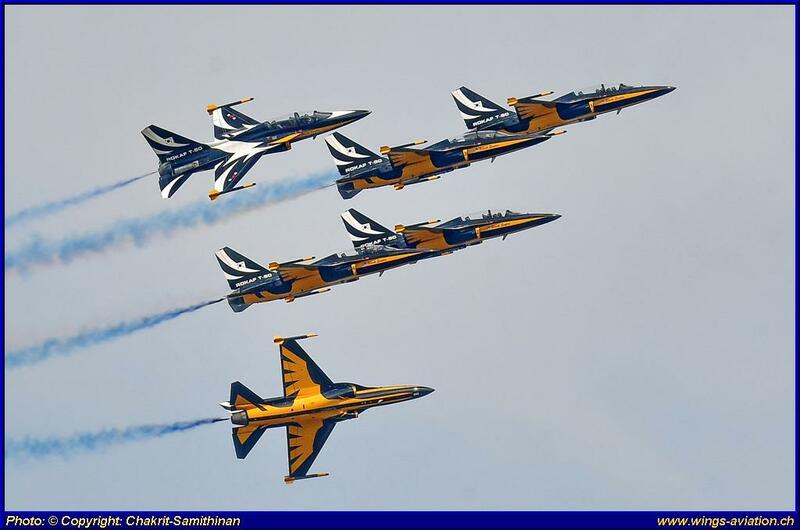 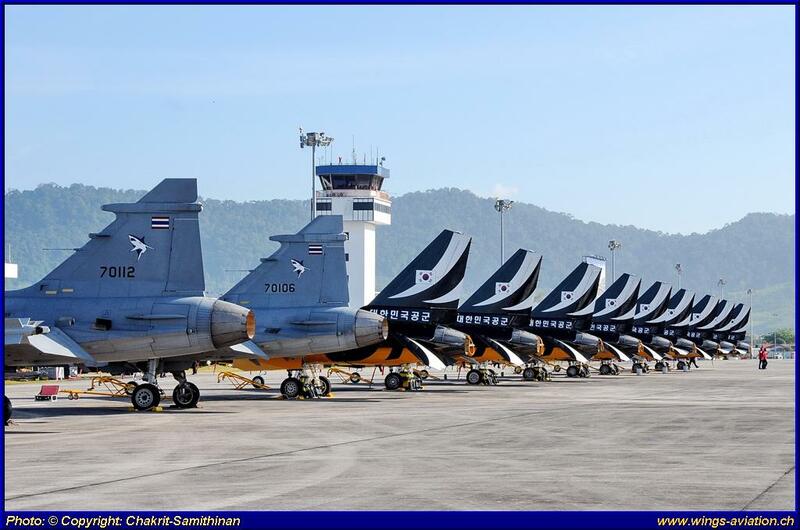 Among the contenders for Malaysia’s new fighter aircraft, only Dassault with its Rafale and Saab with a Thai Gripen participated in the daily aerial displays. 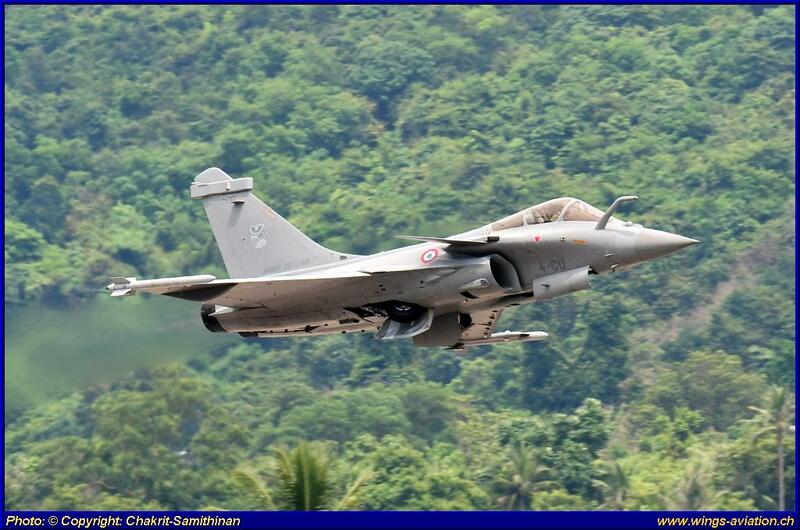 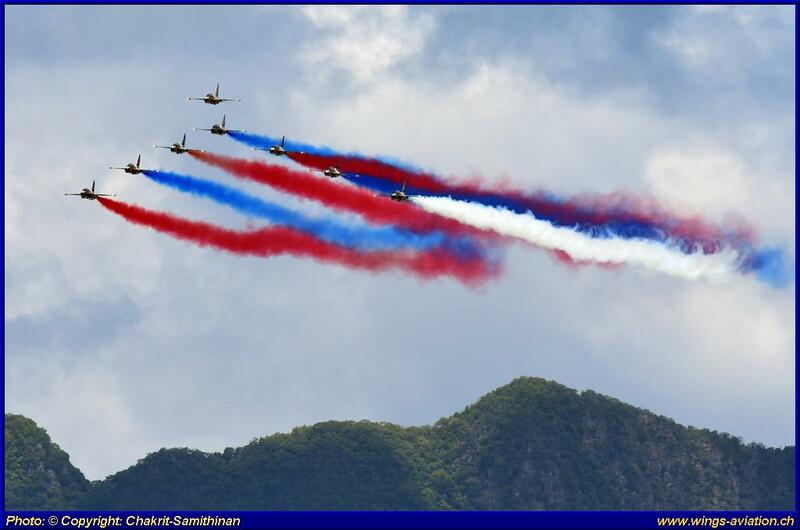 It is however known that a few days after the conclusion of LIMA17, the Rafale aircrafts were making several demonstration flights in Kuala Lumpur during the visit of the then French president, Mr. Francois Hollande. 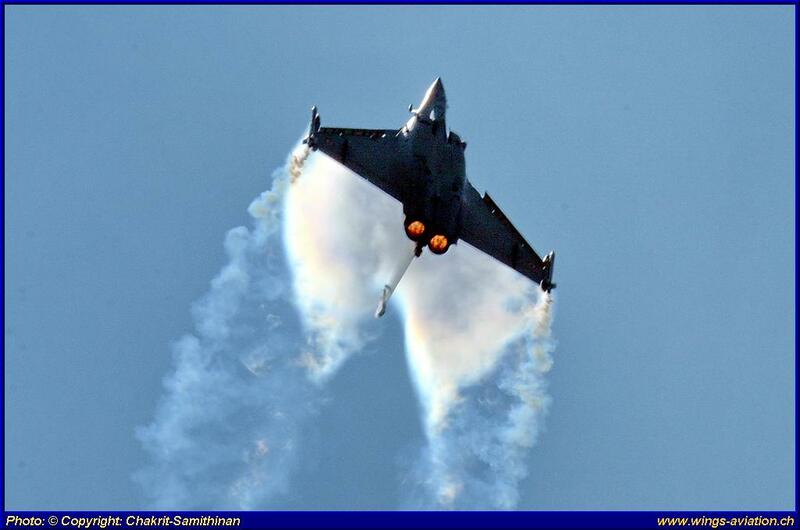 This may point to a preference for Rafale, but the funds for such a purchase appear to be still lacking. 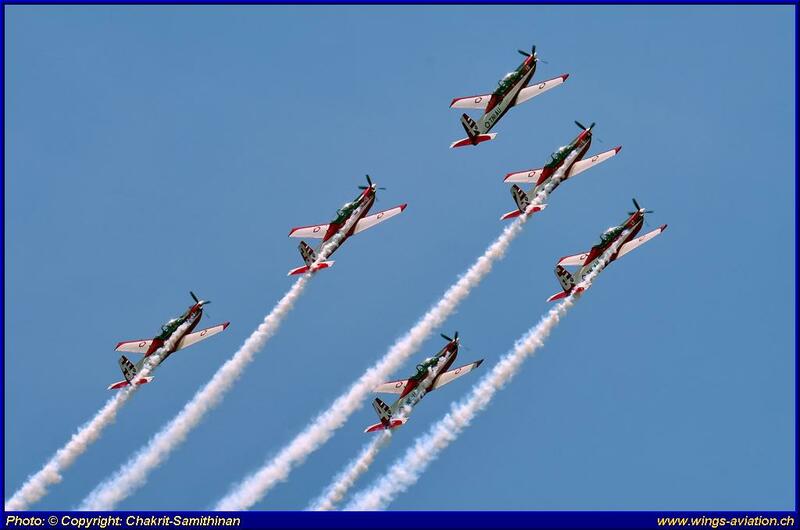 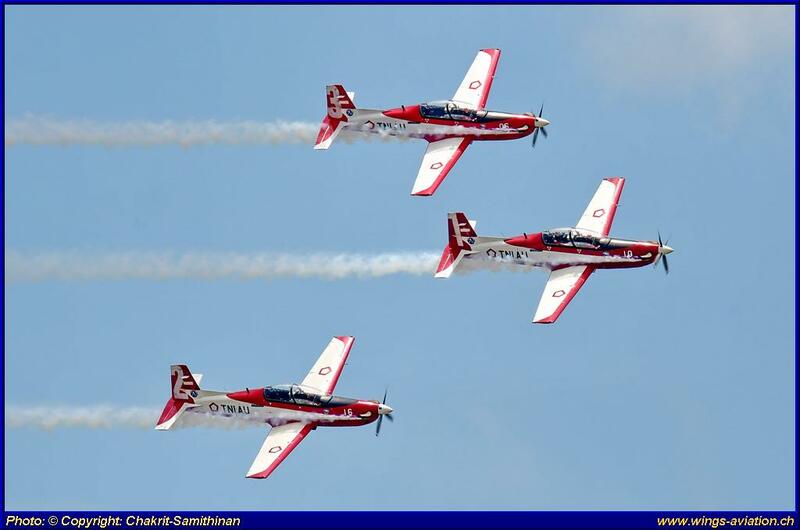 During the five days of aerial demonstrations, only three aerobatic teams and four solo aircrafts were flying on a daily basis, and the demonstrations took less than two hours. 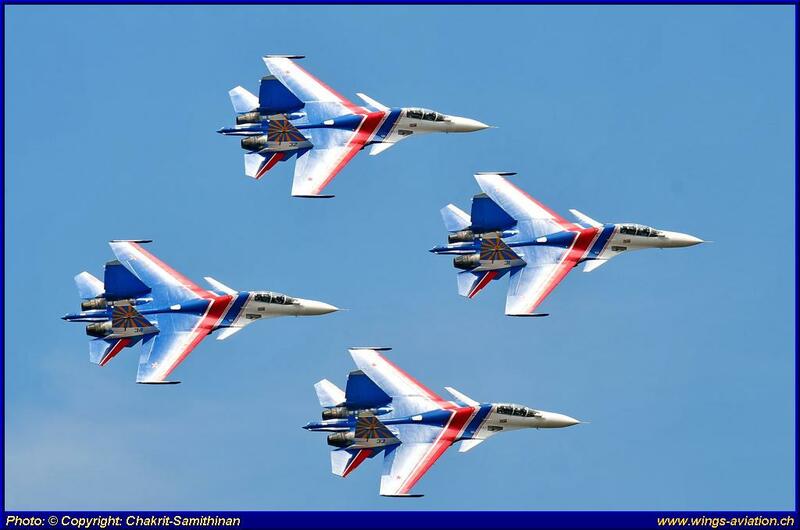 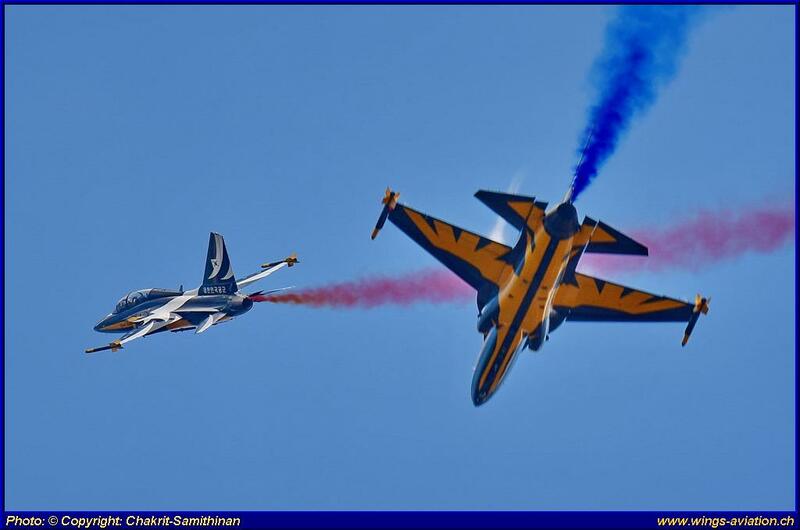 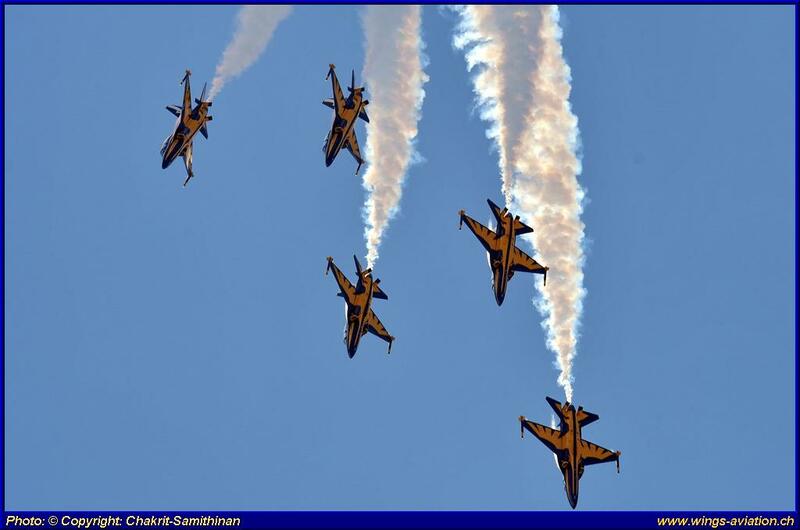 Most prominent were of course the “Black Eagles” from South Korea with eight T-50B aircrafts and the “Russian Knights” who appeared for the first time outside Russia with their brand-new Sukhoi Su-30SM. 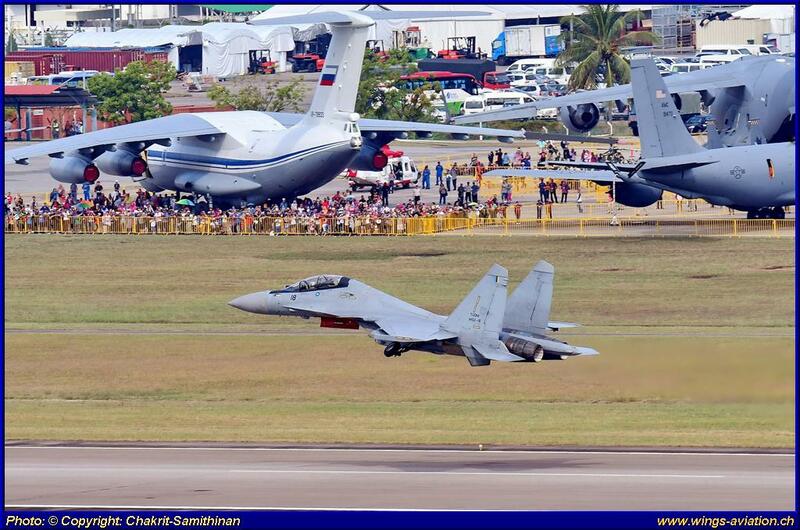 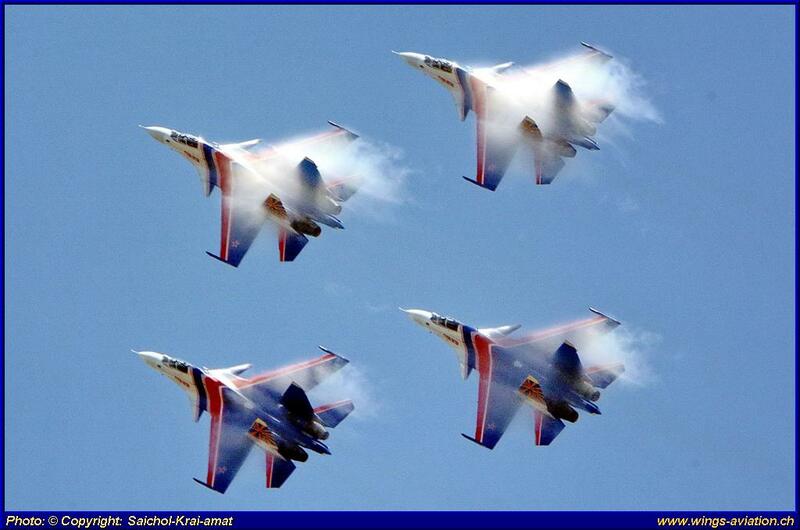 Five Su-30 SM were present but only four participated in the daily demos. 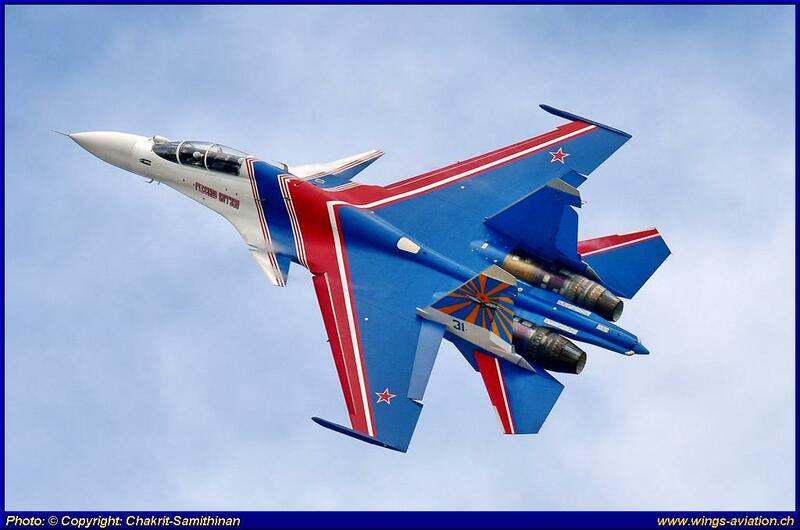 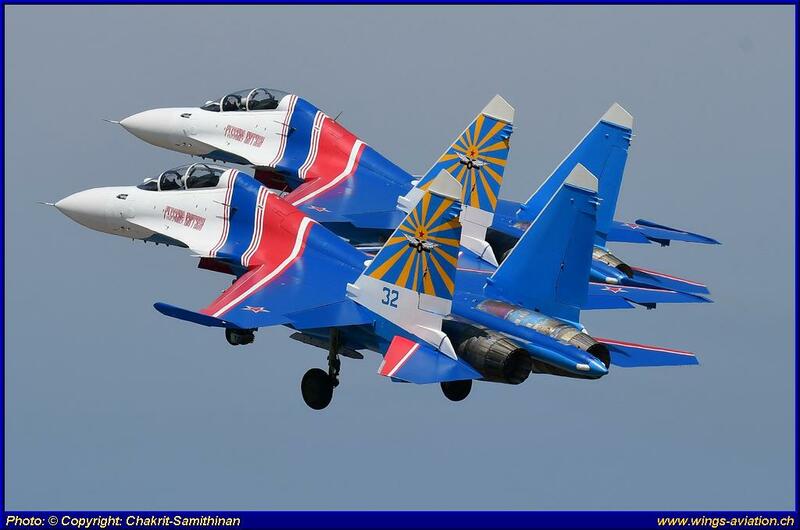 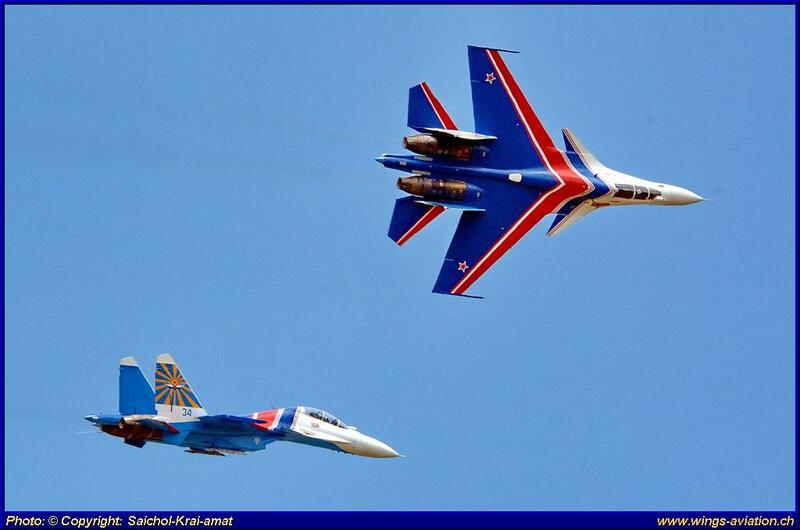 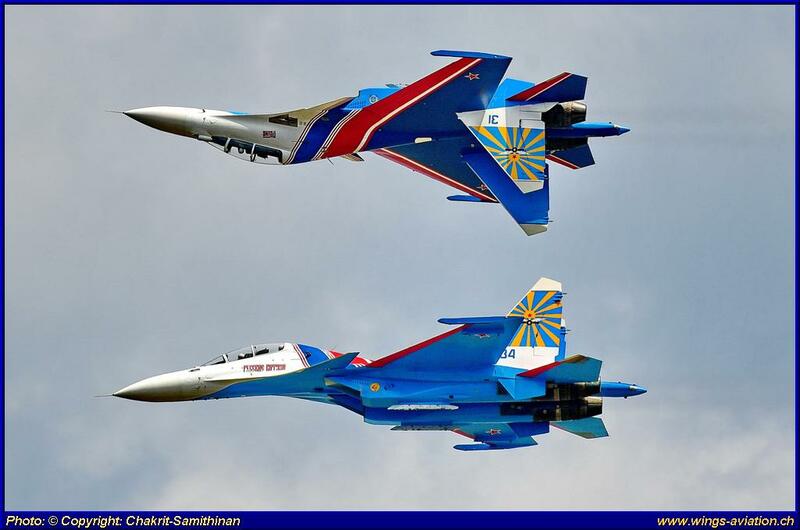 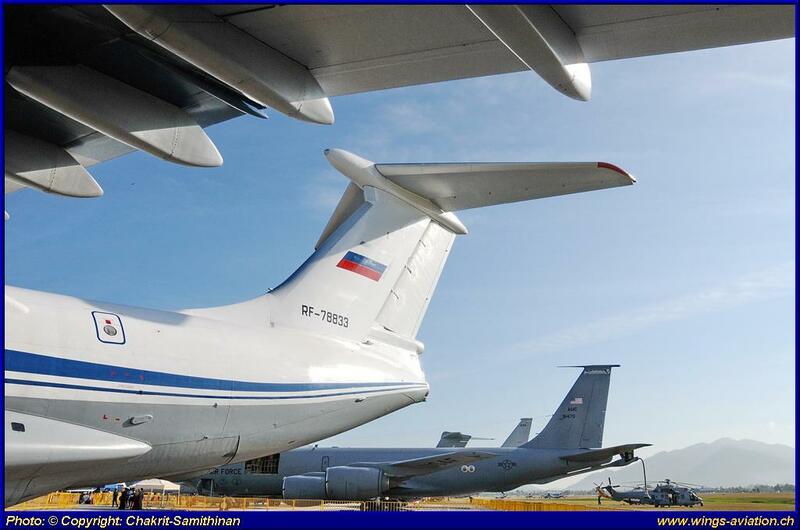 While the “Black Eagles” were performing a great program similar to the one which was very much acclaimed during RIAT 2012, the “Russian Knights” are still building up their program to eventually consist of 6 aircrafts. 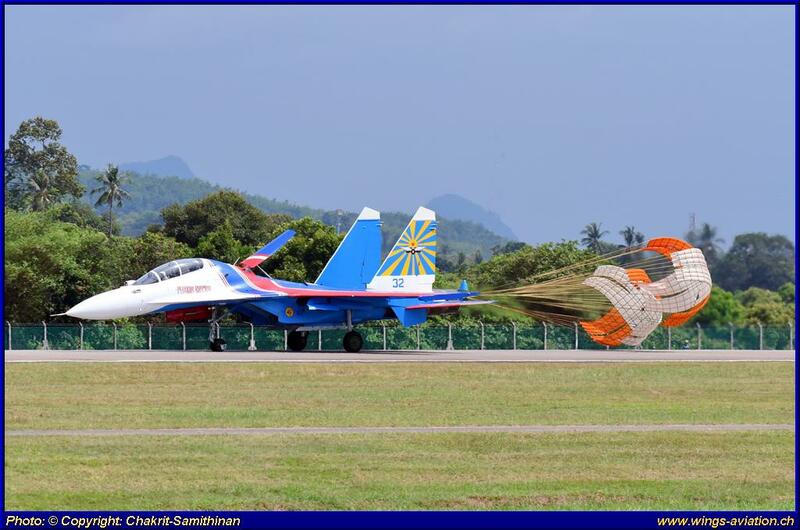 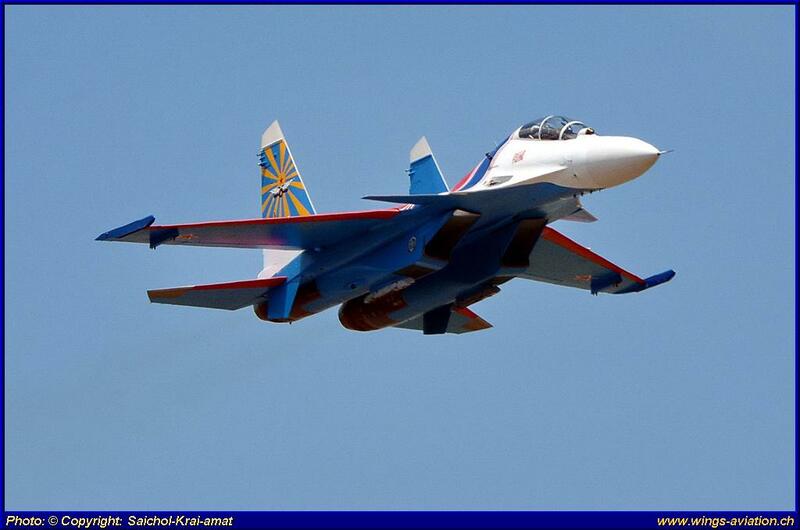 New for the “Russian Knights” was the demo of the solo pilot who demonstrated the unique abilities of the Su-30SM using thrust-vectoring. 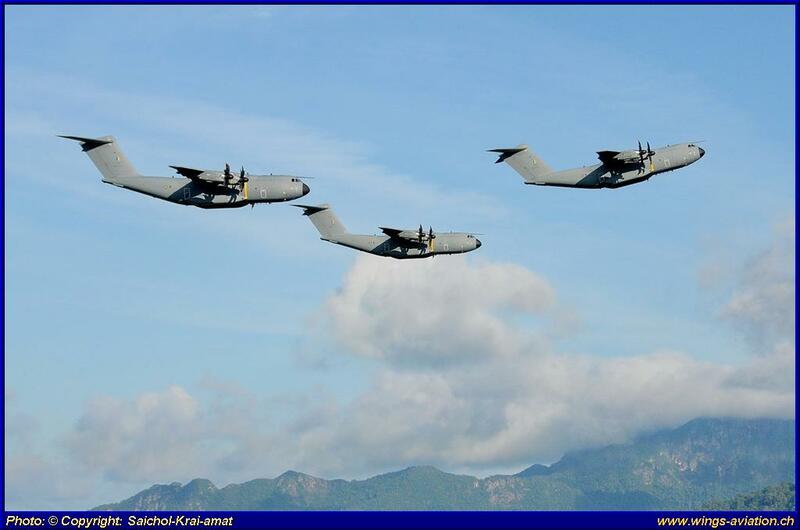 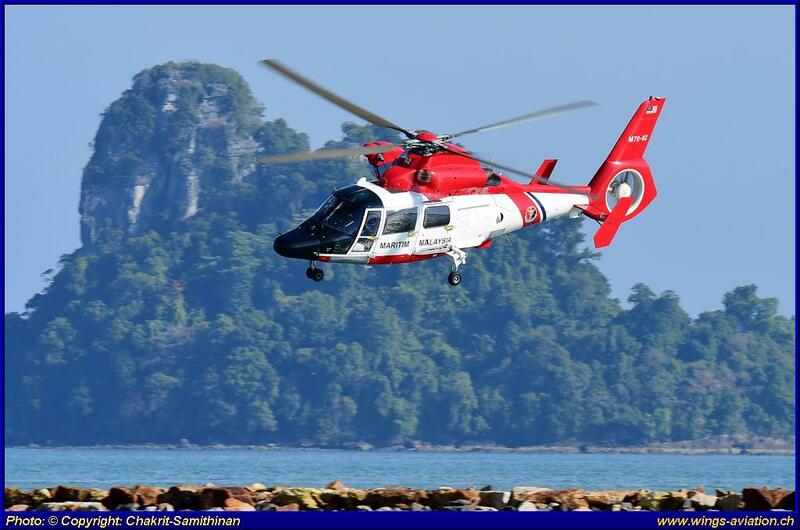 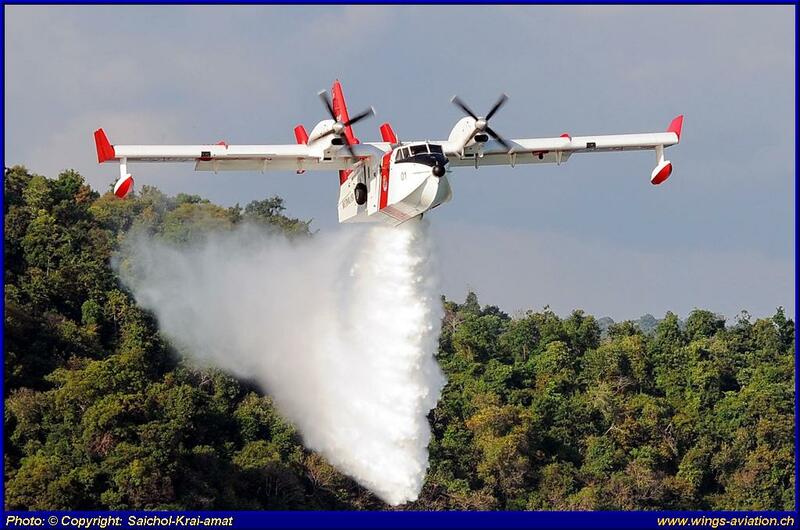 Following the collision and subsequent total loss of two aircrafts during training for LIMA 2015, the Indonesian “Jupiter” team was again present with 6 aircrafts and a slightly safer display which no longer included the more risky crossing manoeuvres. 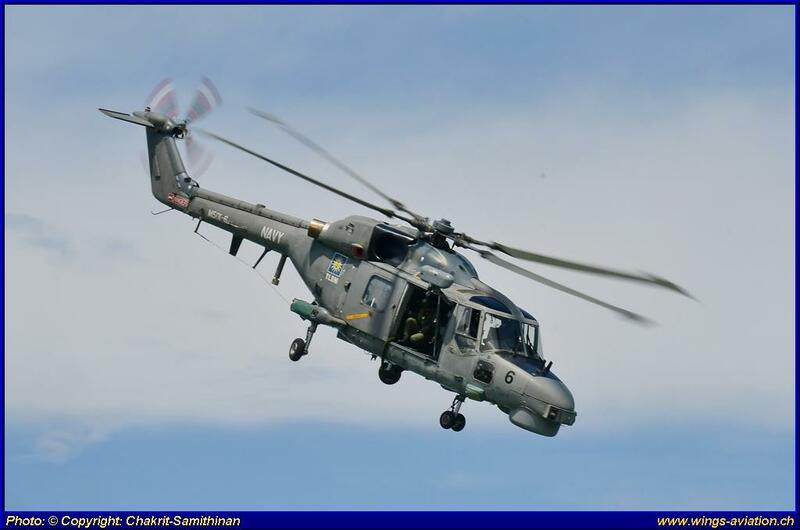 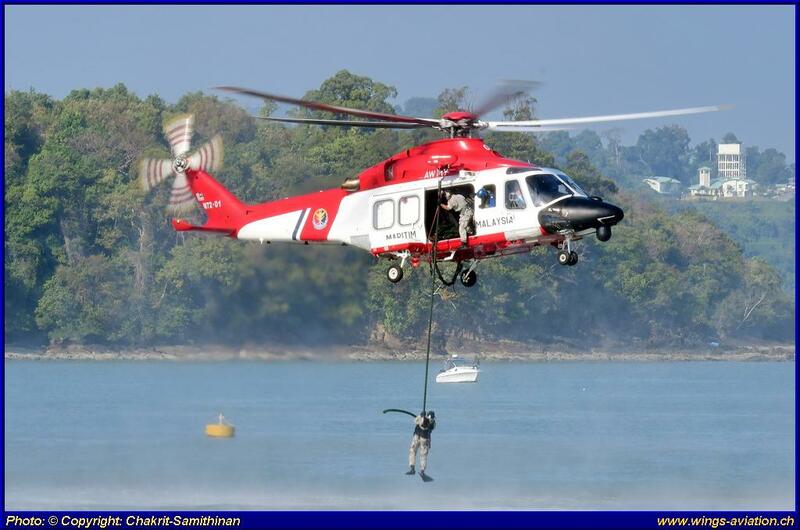 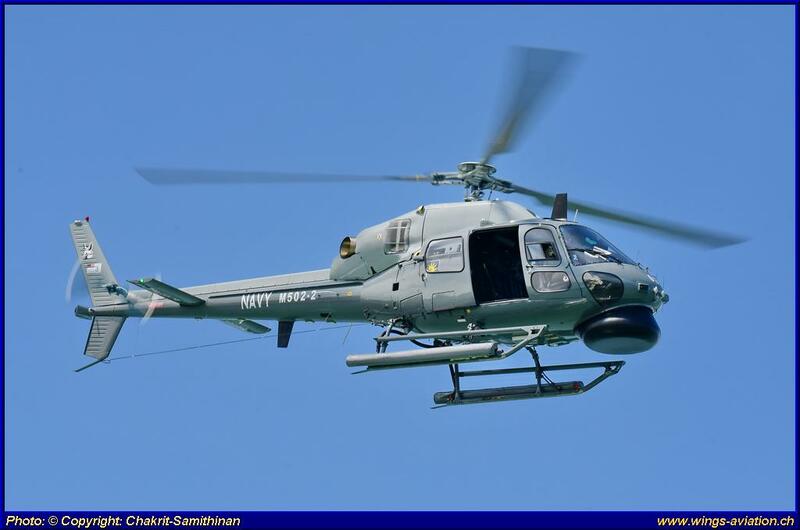 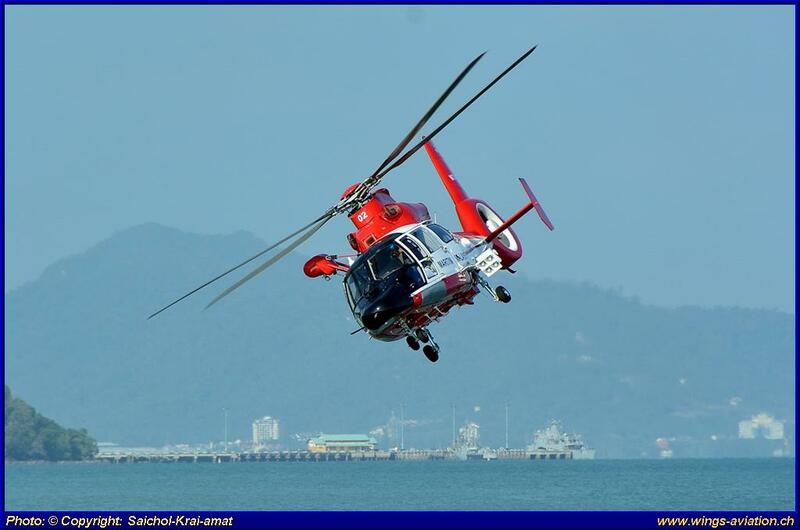 The previously announced “Sarang” helicopter team from India with their Dhruv helicopters did not show up during LIMA and no reason was given for their non-appearance. 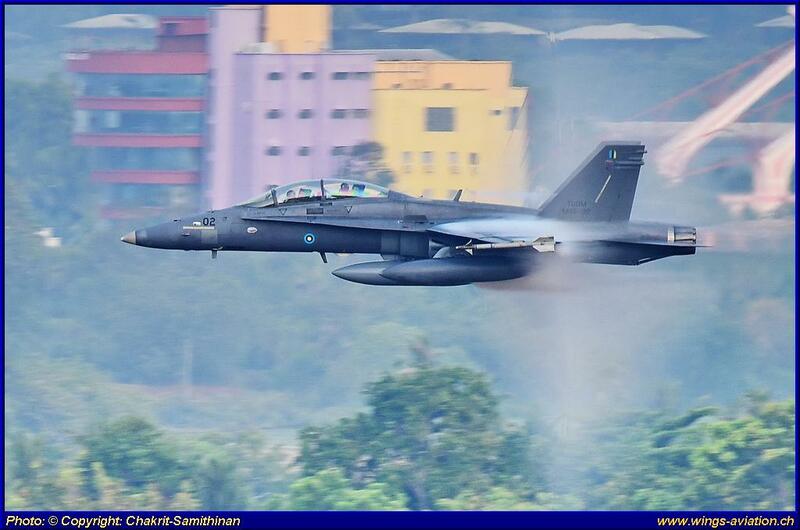 In the daily solo displays, the Rafale and the Gripen were supplemented by the Su-30 MKM and the F/A-18D Hornet from Malaysia. 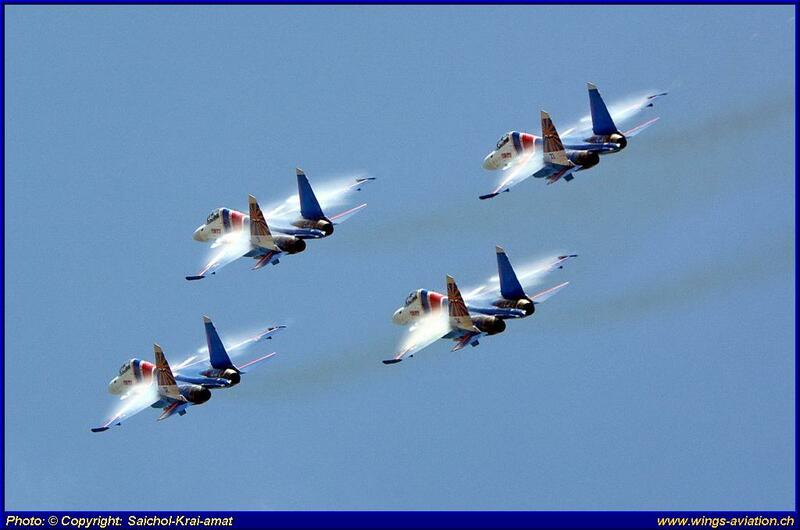 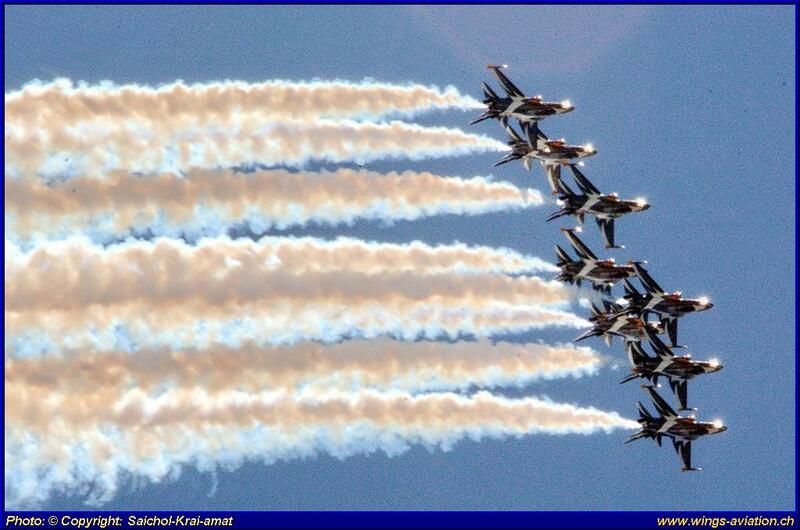 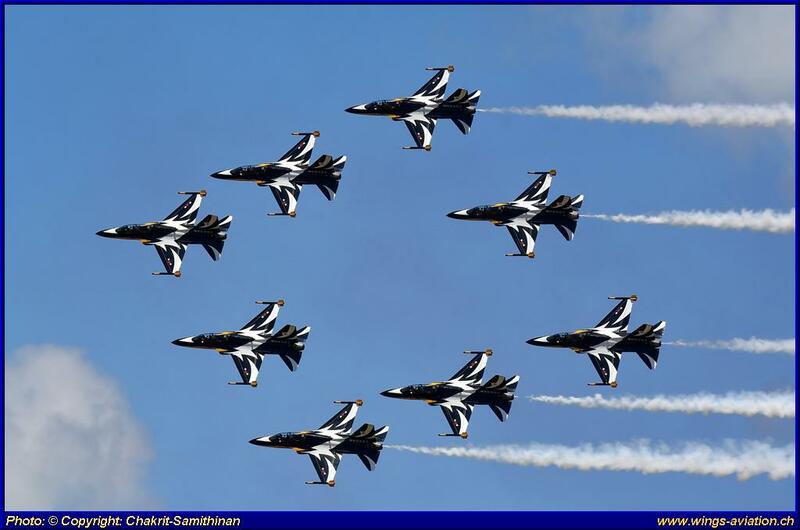 In this year, the United States Air Force was completely absent in the regular flying program. 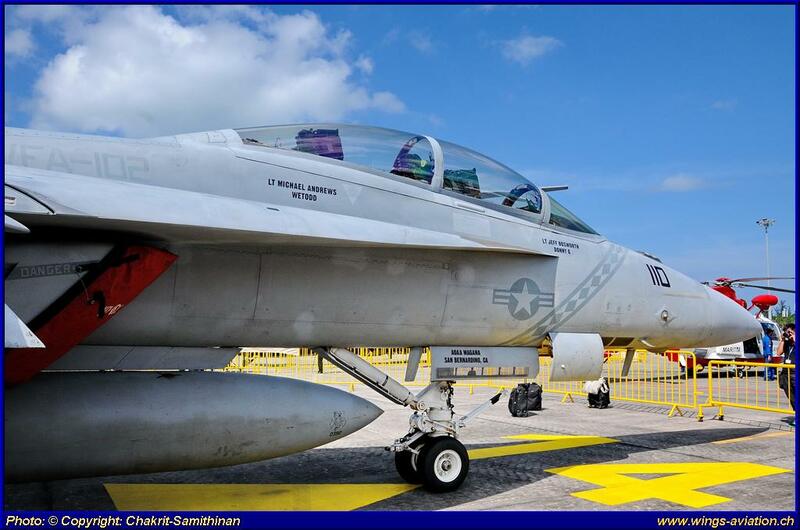 However, they were present in the static park with two Navy Boeing F/A-18 Super Hornets from the Diamondbacks stationed at their forward operating base in Atsugi, Japan and aboard USS Ronald Reagan. 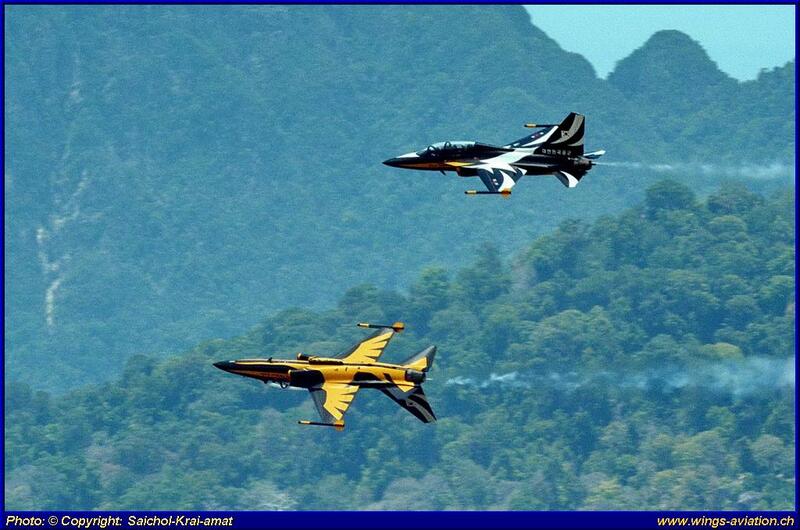 They flew non-stop from Japan to Langkawi which explained the presence of a KC-135 Tanker in the static display. 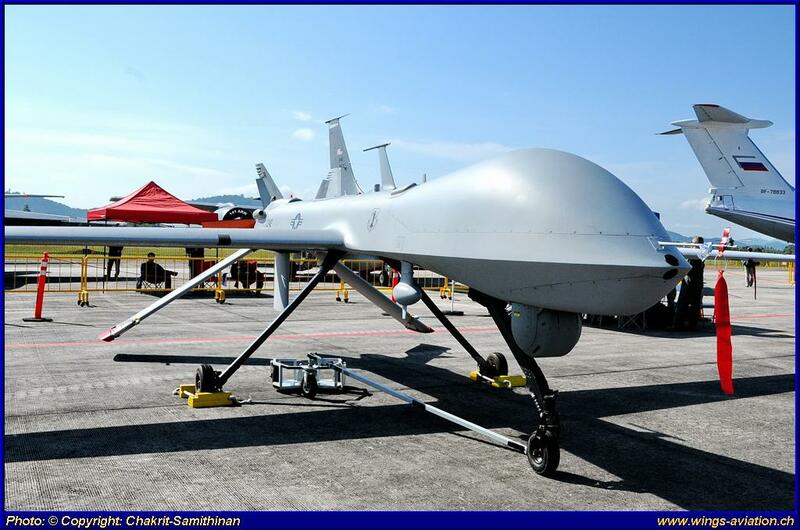 Furthermore, a Boeing P-8 Poseidon Maritime Surveillance aircraft, a MQ-1 Predator and a Sikorsky MH-60 helicopter from the USS Coronado were also in the static display. 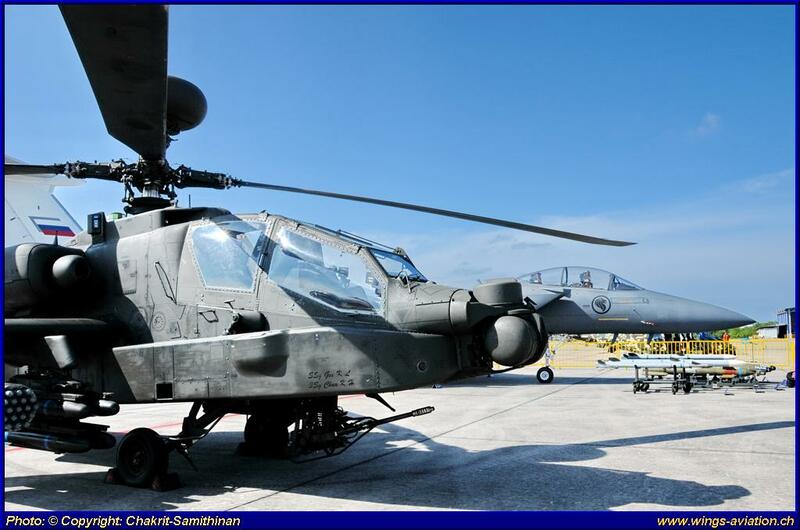 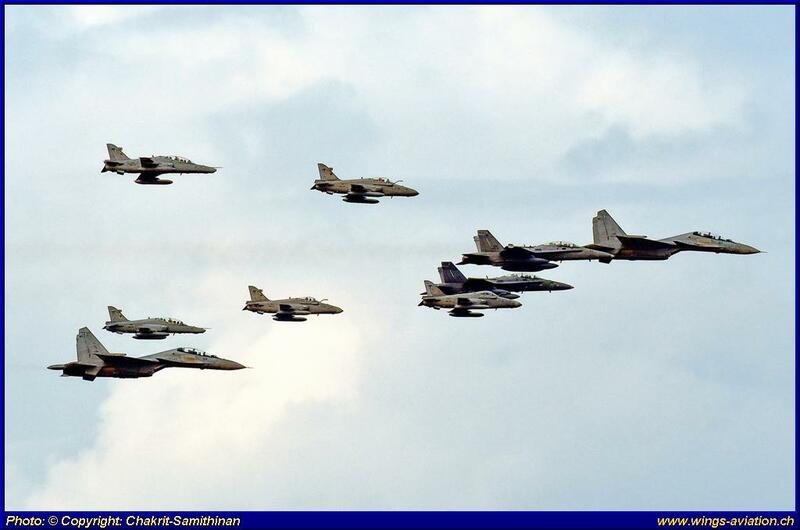 Singapore was present with a Boeing F-15SG fighter and a AH-64 Apache helicopter. 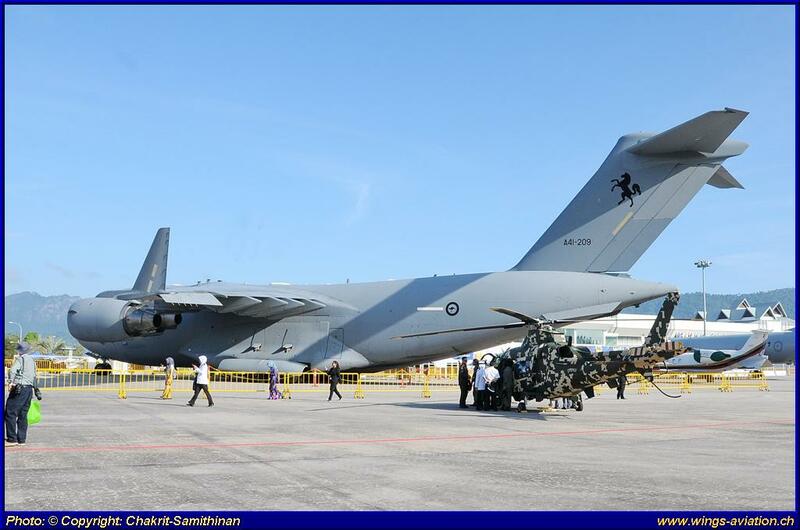 The Royal Australian Air Force opened their Boeing C-17 Globemaster III to the public and an Australian AP-3C Orion could also be seen in the static park. 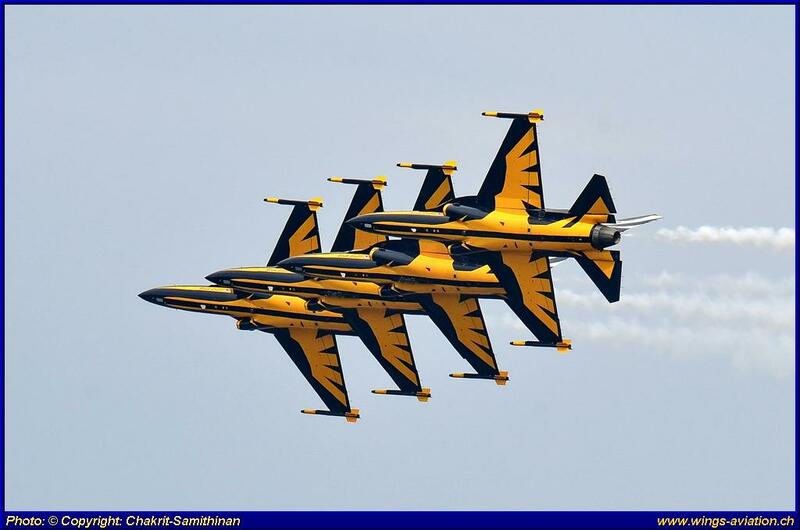 All in all, the airshow segment of LIMA 2017 turned out to be a pleasant though short program which continues to be one of the favorite airshows for aviation photographers who have the choice of several vantage points to take pictures depending on the position of the sun. 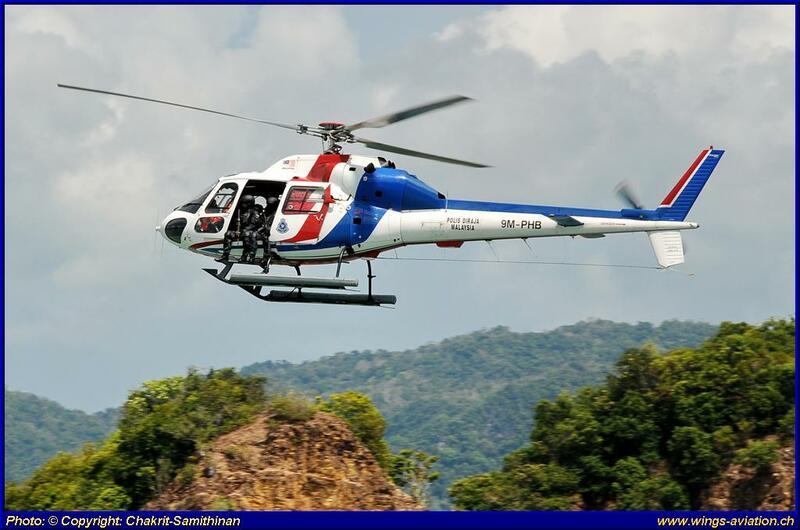 The weather was somewhat erratic this year and at least two training sessions had to be cancelled altogether due to rain storms. 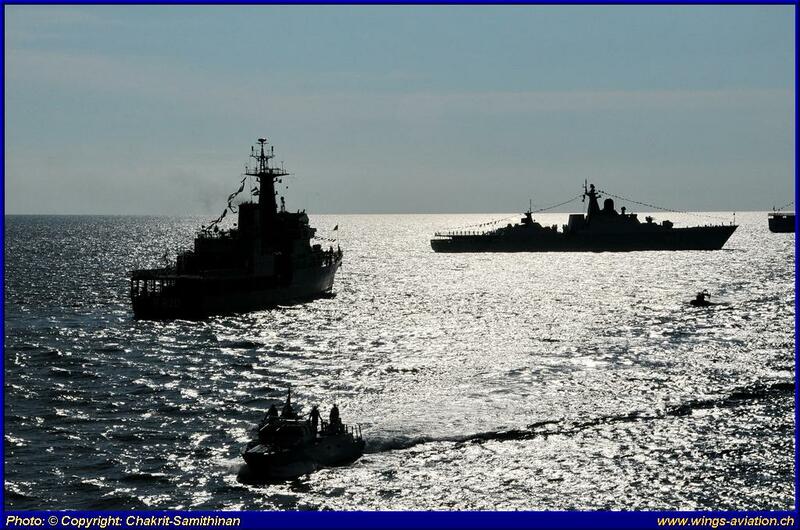 Finally a word about the highlight of the maritime exhibition. 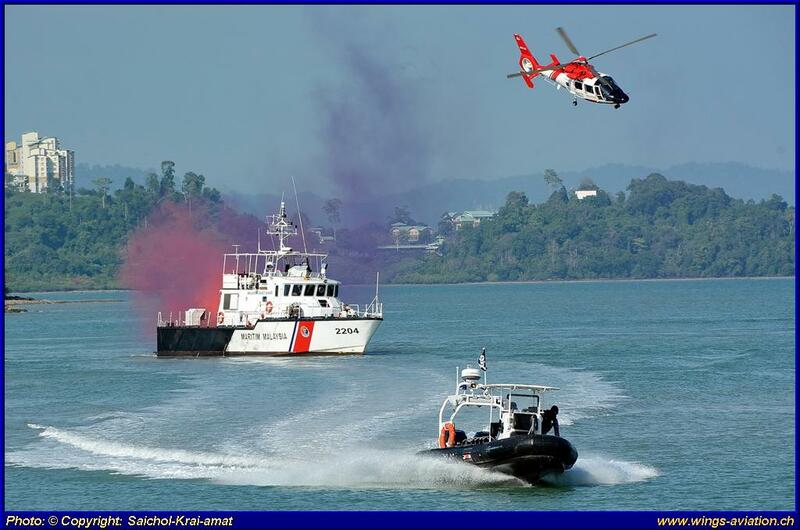 LIMA 2017 was able to present one of the most modern and fastest vessels the US Navy has in its arsenal at Porto Malai, i.e. 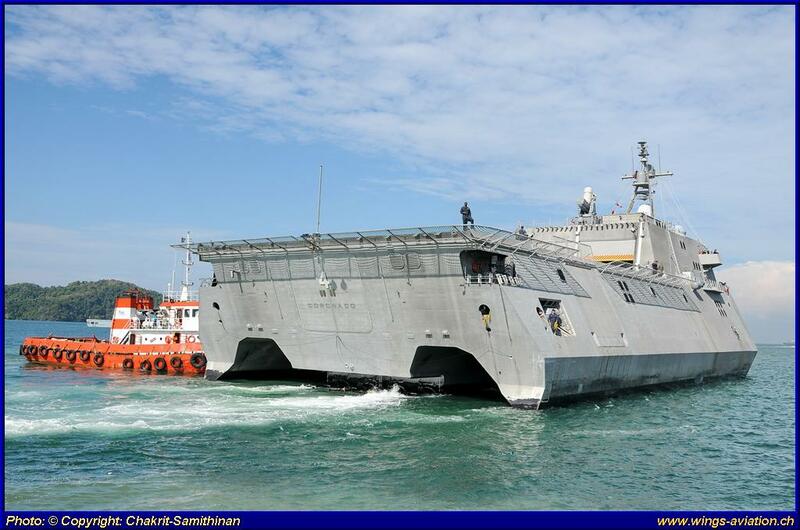 the USS Coronado (LCS-4), an Independence Class Littoral Combat Ship which was still on its maiden deployment. 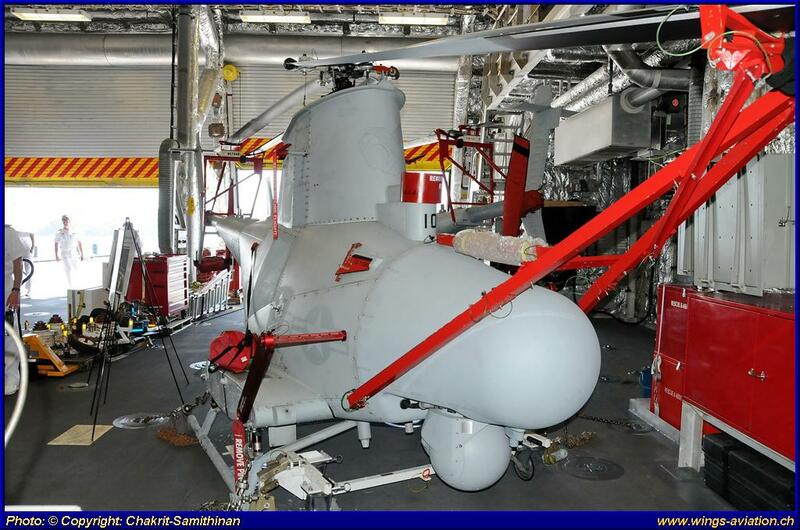 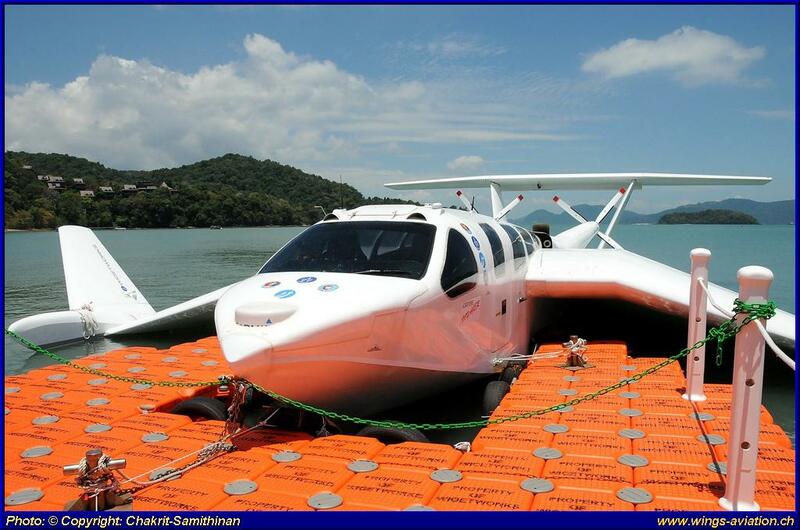 It is a catamaran with two MH-60 Sea Hawk helicopters and a MQ-8B Fire Scout unmanned helicopter stationed aboard. 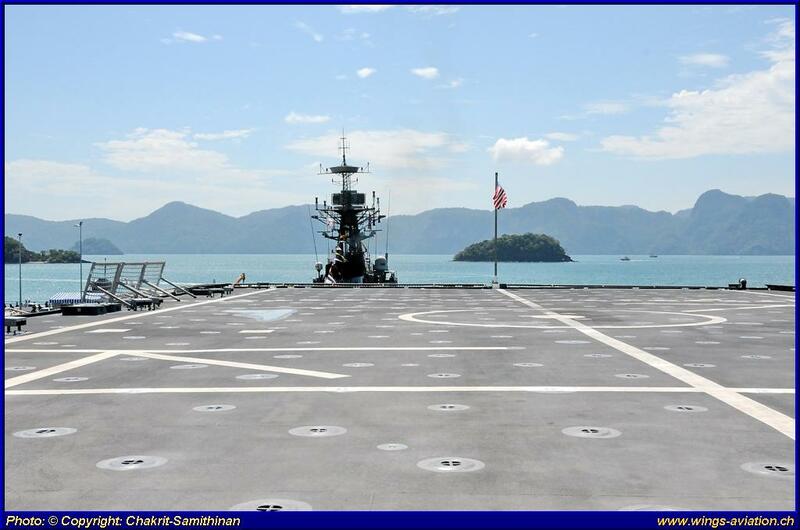 A selected group of journalists was invited by the US Embassy in Kuala Lumpur and the writer was one of the people invited to tour the ship. 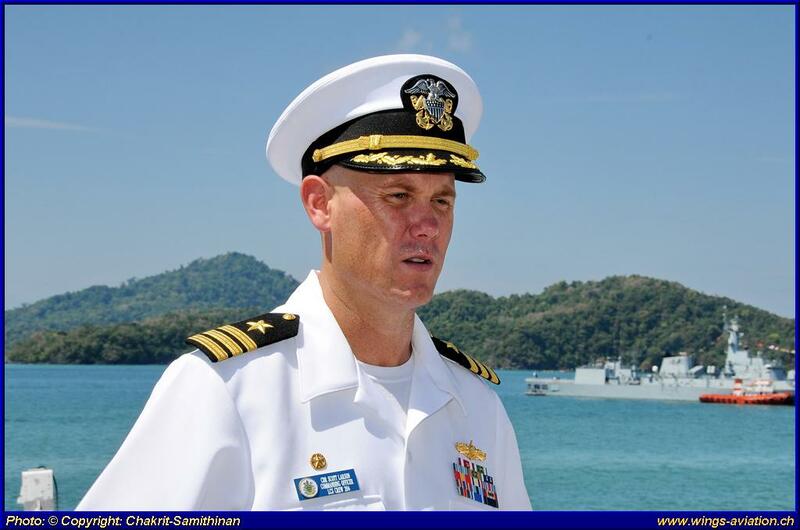 The then commanding officer of the Coronado, Cmdr. 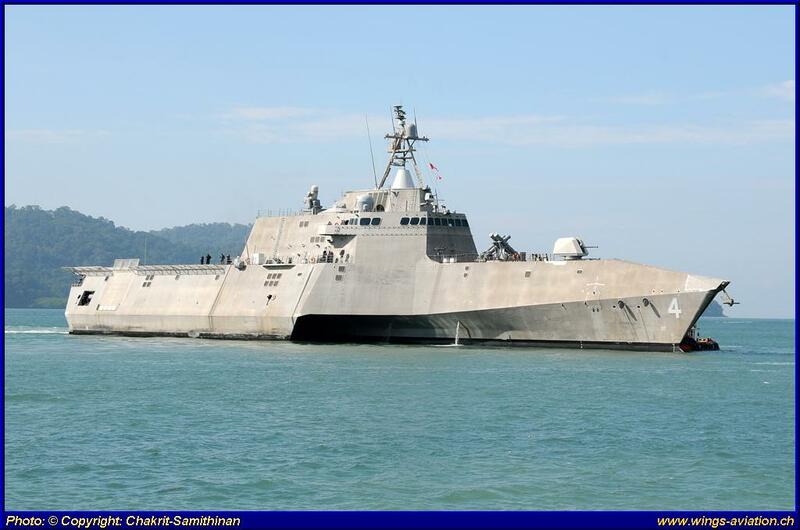 Scott Larsen, personally led the journalists through the ship which was a unique opportunity to become more familiar with one of the newest vessels in the US Navy. 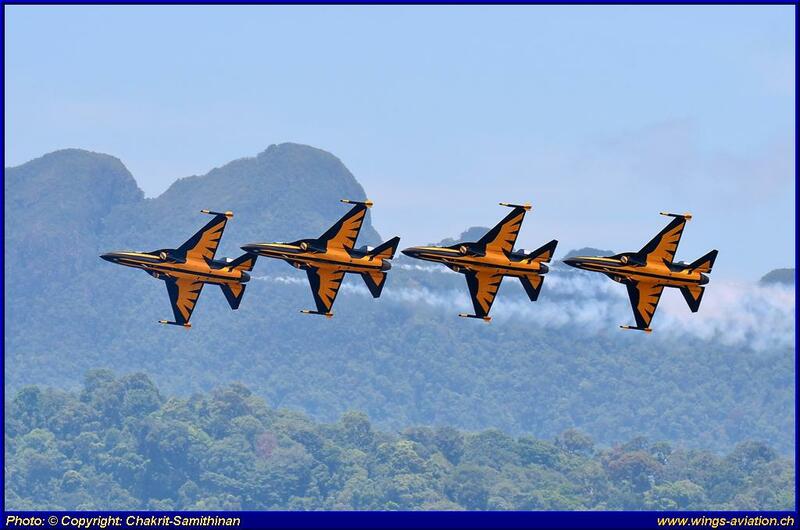 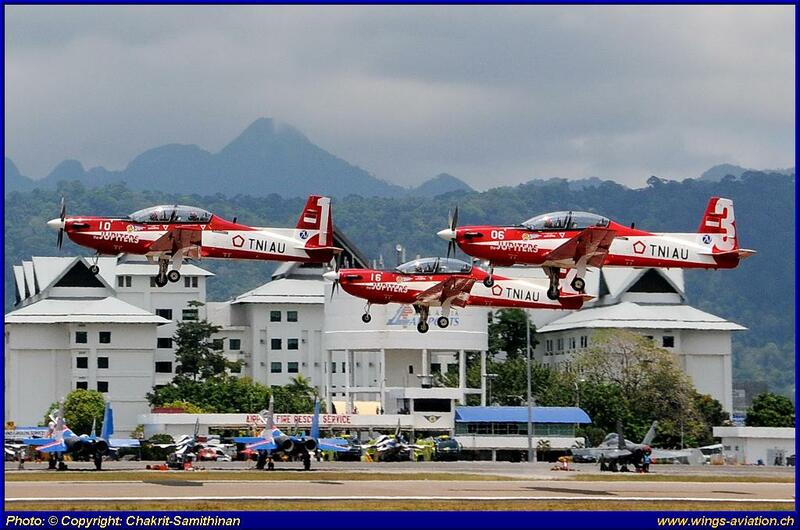 The Malaysian Ministry of Defence announced on the last day that there will be a LIMA 2019 in two years’ time. 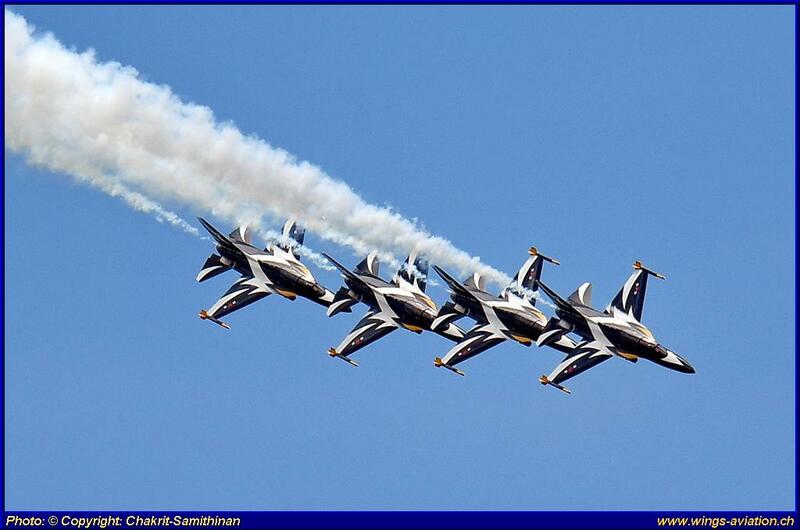 No dates have been announced yet.